This arti­cle was updated at 2:30 PM -5:00 GMT on 20 November to iden­tify María Ruiz by name. 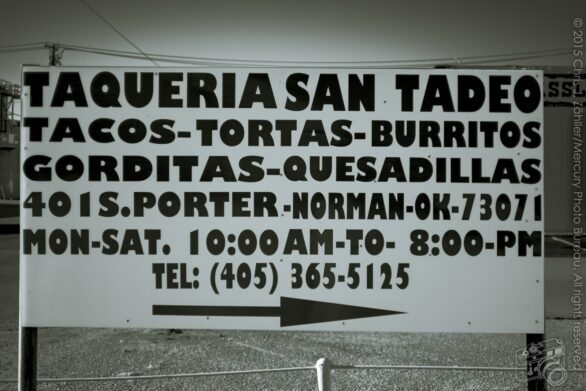 Last week I stopped at Taqueria Ruiz﻿ Since this arti­cle orig­i­nally posted, the own­er­ship and name of the restau­rant have changed. 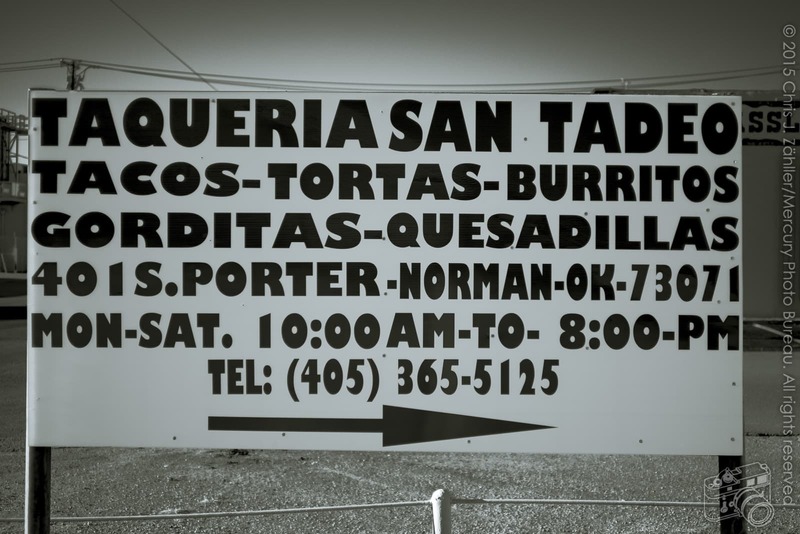 They still serve the same tasty food, but oper­ate under the name Tacos San Tadeo. The arti­cle has been updated to reflect the cur­rent hours. for lunch after run­ning some morn­ing errands. I ordered a taco revuelta with a mix­ture of pork pre­pared 3 ways: chichar­róns (pork rinds), car­ni­tas (braised and shred­ded pork) and al pas­tor (pineapple-marinated and broiled pork). 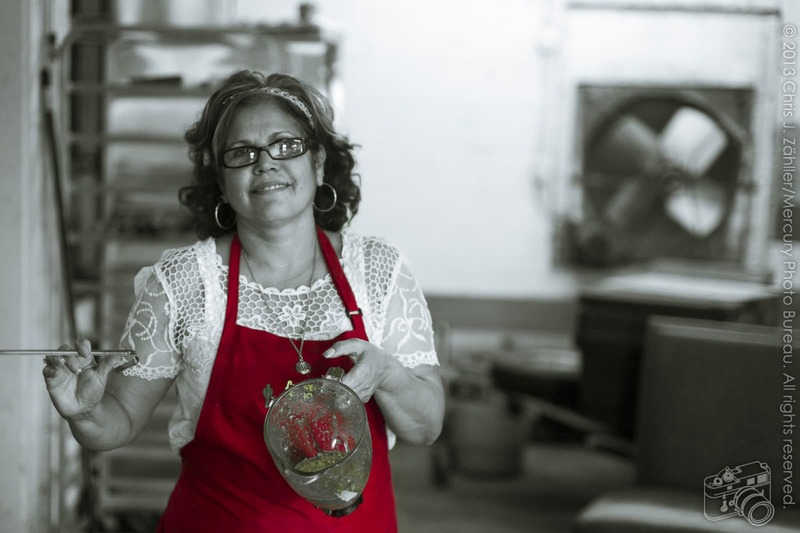 When I told pro­pri­etress María Ruiz that I’d like some of her very spici­est salsa, she said, Just a minute, and dashed back to the kitchen. On her return, she bran­dished 2 fists­ful of jalapeño pep­pers and asked, Is that enough? I agreed that it was, indeed, enough. She then blended them, along with onions, gar­lic, vine­gar and sea­son­ing, pour­ing nearly a pint (~475 ml) of the result­ing salsa into a stro­foam cup. As I had only ordered a sin­gle taco and some rice and beans, I had quite a bit of salsa left over, which Mrs. Ruiz triple-wrapped for me so I could get the pre­cious elixir home with­out spills. The restau­rant doesn’t cur­rently serve alco­hol, but they are asso­ci­ated with Los Dos Amigos (which has a bev­er­age license), so that may change. Besides the great ser­vice, the food was deli­cious and inex­pen­sive, and the loca­tion is con­ve­niently close by for East Norman res­i­dents. Highly rec­om­mended.